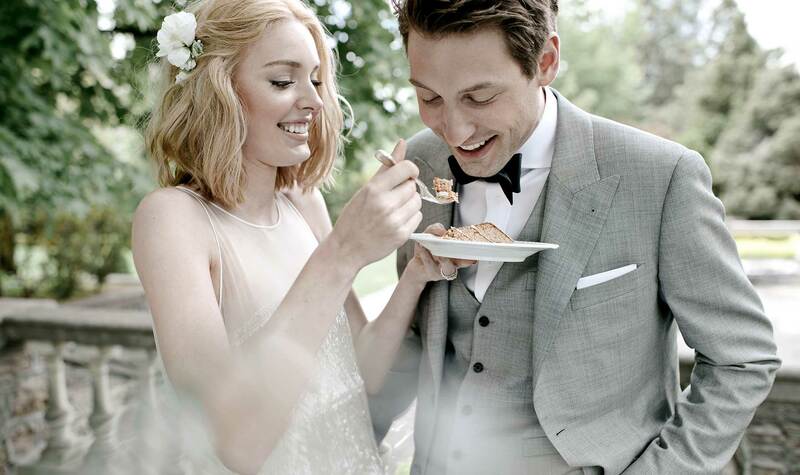 Weddings have become not only a declaration of love, but of personal style as well. Every detail from the venue to the table settings and the flowers is a showcase of your taste and preferences. 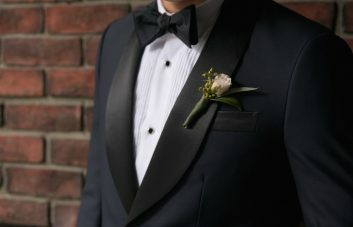 The same rule applies when it comes to your suit—there’s no one style fits all, and there are lots of options beyond a traditional black tux. Adding a few of these details will ensure your suit is as one-of-a-kind as everything else you’ve planned for the big day. These days you can monogram your phone, bag, and shirts, so it makes perfect sense that you can add this feature to your suit as well. 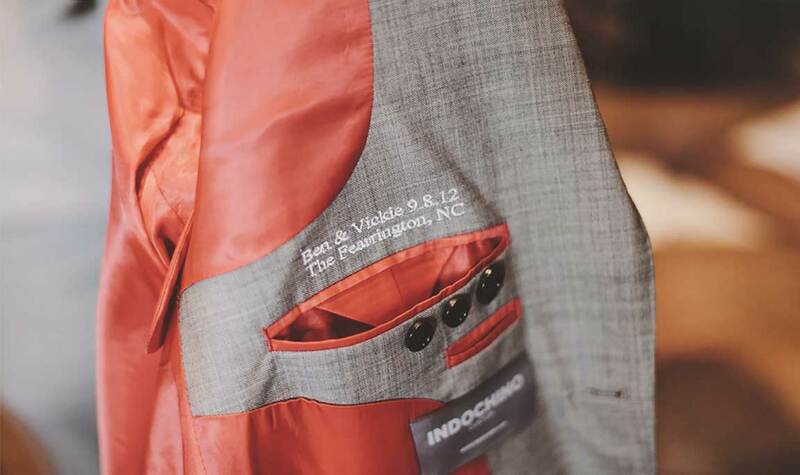 This option allows you to do anything from a three-letter initial to an entire quote or sentence on the inside of a jacket that will always remind you of your big day. You can even choose the font and color you’d like it to be stitched in. Once you’ve personalized your look with words, go ahead and make the color your own. 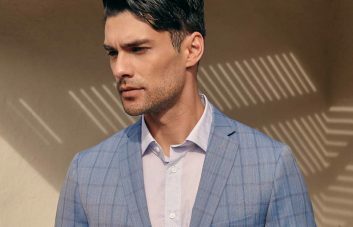 One of the options you can choose is made-to-order color linings in your suit jacket. This allows you to play around with your favorite colors, but gives you the chance to coordinate the jackets of all the groomsmen as well. Or ensure that you’re the one who stands out—it’s your day, after all. 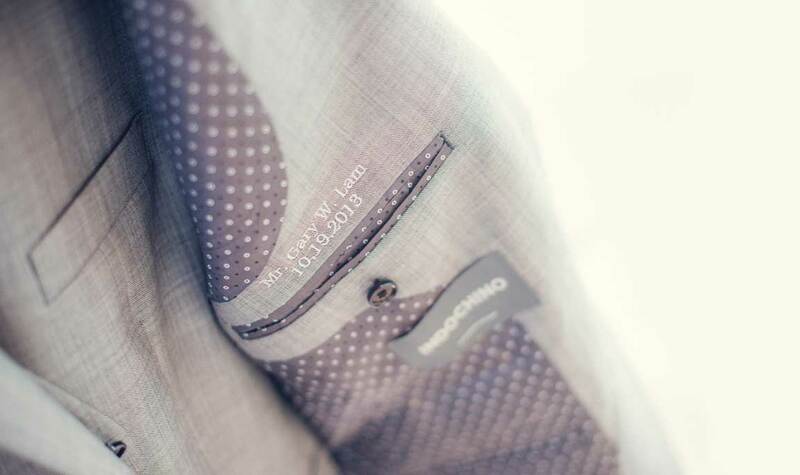 One of our favorite custom details for your suit is choosing a color contrast buttonhole stitch. This is indeed a small detail that makes a big difference. You can choose a color that goes with your wedding theme and matches with the rest of the wedding party. A pop of color against the neutral material of your suit is a thoughtful, subtle touch. Accessories are the finishing touches that help you personalize the whole look. This is a great opportunity to wear your theme colors of your wedding in a tasteful, classy way. Cuff links, pocket squares, and bow ties all come with varying patterns and colors, but keep the pattern and tone understated. These accessories are meant to enhance your look, not distract from it. 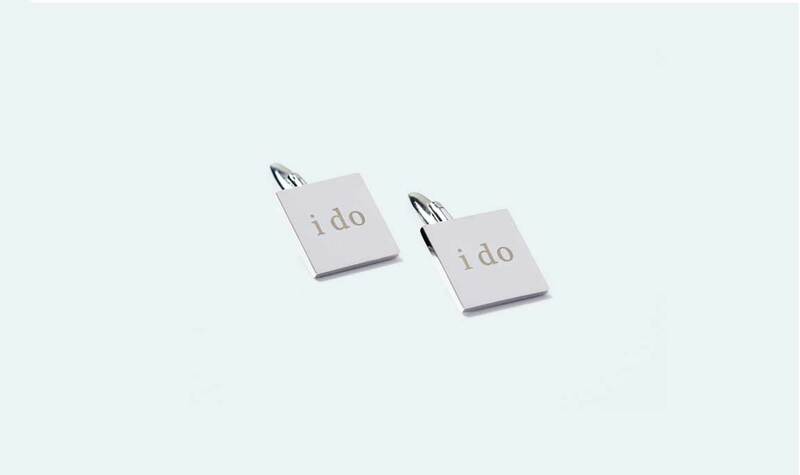 These subtle details will go a long way in making you look and feel great alongside your partner on such an important day. 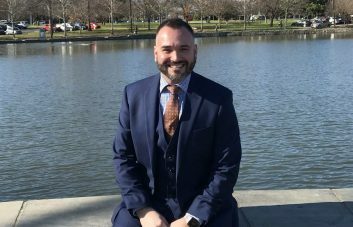 Ready for your wedding photos? Check out our eight tips for looking great on camera.